Elegant, extra comfortable leather handbag. Don´t miss the chance to glow! Prefect size and practicity combined with design. Handpainted art on pockets. Fully lined with Carolina's designed pattern fabric. This is a 100 % finished top quality, handmade selected bovine leather. 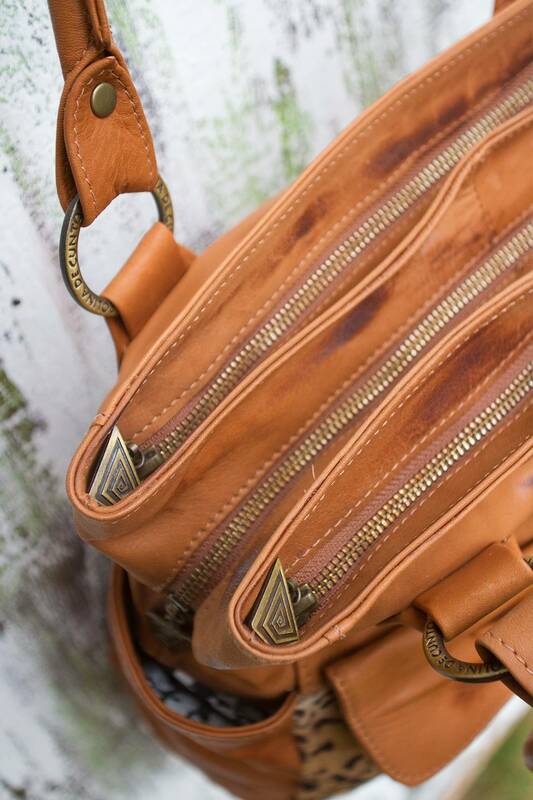 - Top zip closure, many compartments. - Handle: 8 1/4 ". 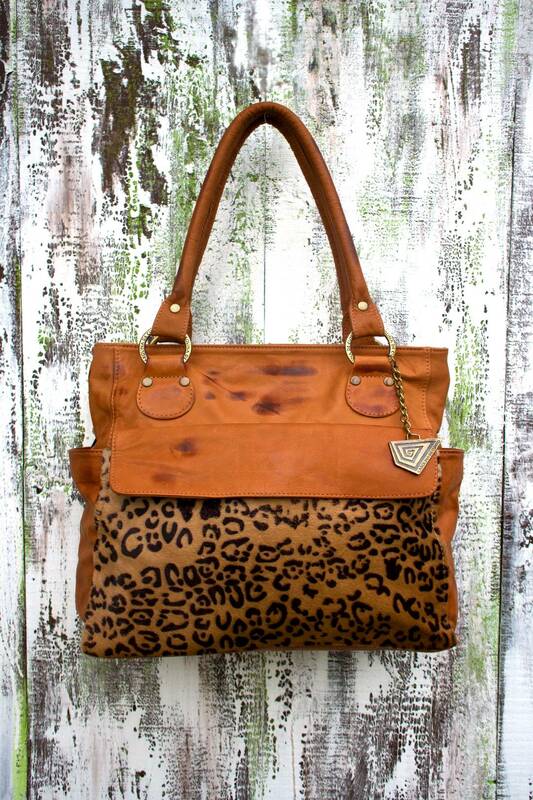 - Available color: Tan color leather. Handame Art detail on pocket.